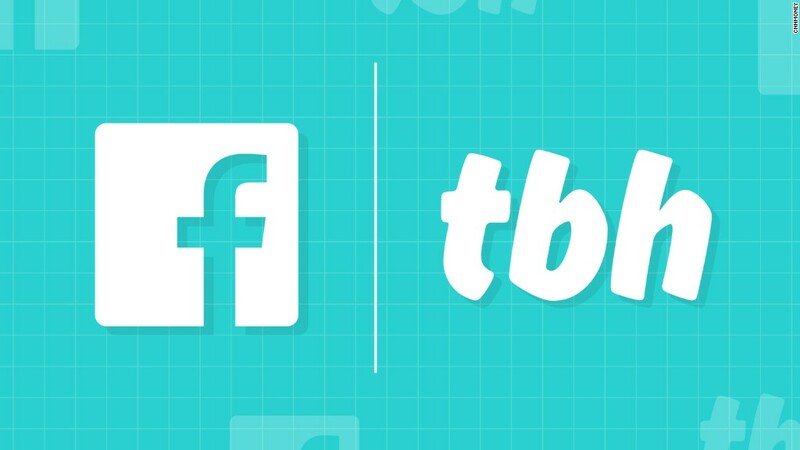 Facebook just nabbed a popular new teen app called tbh. Teens have been flocking to the app -- named after the acronym frequently used in texts, "to be honest" -- to participate in anonymous polls and give feedback to friends. The app creators control the content of the polls, like "Best person to go on a roadtrip with." It's a measure that's meant to keep the sentiments expressed on the app positive, which is something that other anonymous apps have struggled with. The concept has spread like wildfire amongst teens. The app is designed for people who are 13 and older, and according to the company, over 5 million people have downloaded it in just the past few weeks. And it's only available on iOS for now. On Monday, tbh announced it has also attracted the attention of Facebook -- which has acquired the company. The move isn't surprising given that the social media giant has shamelessly sought out teenagers in recent years amid reports that younger users are abandoning its platform in favor of newer apps and services. "We were compelled by the ways [Facebook] could help us realize tbh's vision and bring it to more people," read a blog post from tbh, which has four cofounders. They wrote that the app's experience "won't change." It will, however, now have "plenty more resources," it said. The app is just several months old. It first launched on August 3rd, 2017 in Georgia and is currently available only in 34 states to date "to ensure the reliability of the app." Facebook also confirmed the acquisition news to CNN Tech. Terms of the deal were not disclosed but the social media company said tbh's four co-creators Nikita Bier, Erik Hazzard, Kyle Zaragoza, and Nicolas Ducdodon will join Facebook's Menlo Park headquarters.